Cemetery Records Are a Neverending Task! Marion County Is No Different! This is an ongoing project, as we are continuing to add burials to this database. When it is fully loaded, it will have the most complete information available about each cemetery (or at least as complete as we can make it). There are over 120 existing cemeteries in Marion County, plus others which are now "lost" or have been relocated. A special thank you to Washington Park Cemetery Association and Flanner & Buchanan for their on-going support of this project. 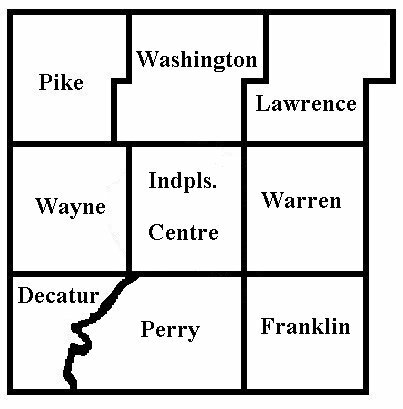 Cemeteries they are affiliated with in central Indiana include Floral Park, Memorial Park, Washington Park East, Washington Park North, West Ridge, Hamilton Memorial, Oaklawn Memorial, Calvary, Holy Cross, St. Joseph, Our Lady of Peace, and St. Malachy. If you have information to add or you want to volunteer, please send us a note.